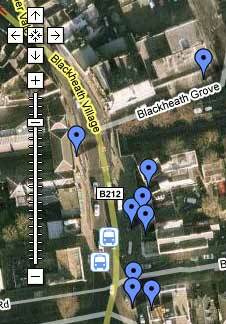 Blackheath has many connections with slavery. Slave traders and companies more loosely associated with it, (through insurance and equipment supplies) made their money and enjoyed their wealth living in Blackheath. But some of the key players in the anti-slavery movement were also in Blackheath for periods of time. It must have been a unique and politically fiery place to be towards the end of the eighteenth century. The “Blackheath and Slavery” website has a lot of information about the people who profited by trading in human lives. It suggests that some place names should be changed to commemorate anti-slave trade petitioners, instead of slave traders. …the first official golfing club in Great Britain. Its membership was exclusively Masonic and disproportionately connected to local slave trading interests, from the plantation owner turned banker Francis Baring, to the slave trader turned Lloyds bank founder, John Julius Angerstein (founder of the National Gallery). 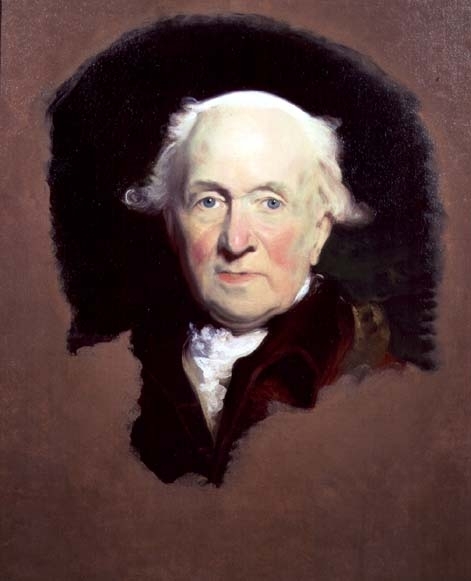 Also members, were the Greenwich iron merchant Ambrose Crowley, who manufactured shackles and collars and the West India merchant William Innes. The golf course was seen as an ideal place to share ideas and make slave trading alliances. Greenwich was also home to some of the greatest resistors of enslavement and anti-slavery campaigners, who strongly influenced public opinion and exposed the terrible truths of slavery to an awakening European conscience. Former enslaved Africans such as Olaudah Equiano and Ignatius Sancho, both Greenwich based for much of their lives, campaigned tirelessly through their narratives and letters against the institution of slavery. 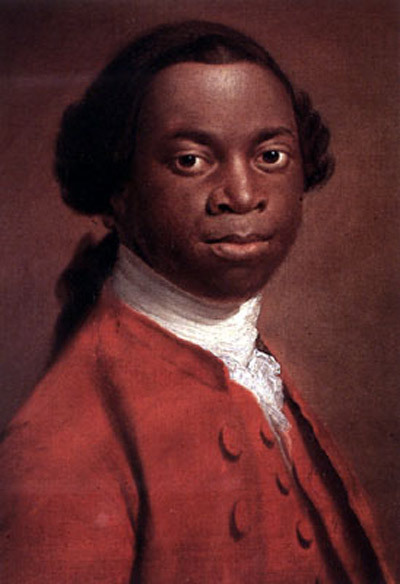 Olaudah Equiano, stolen from his home in what is now south-eastern Nigeria at the age of ten, first published his narrative in 1789 (and subsequently in nine British editions during the course of his lifetime). Interestingly, the Golf Club’s own site neglects to mention any connection with the slave trade. Maybe they could make a bad piece of history into something more positive by encouraging local school kids to take up golf with free open days a few times each year? Angerstein (seen above) seems to have been a highly dubious figure, encroaching common land, and building windmills on it for his own profit, making money from Lloyd’s of London’s slave ship insurance policies, and then spending his cash of exquisite paintings (many of which are now in the National Gallery). Equiano was about 12 when he first arrived in England. For part of that time he stayed at Blackheath in London with the Guerin family (relatives of Pascal). It is here that Equiano learnt how to read and write and to do arithmetic. 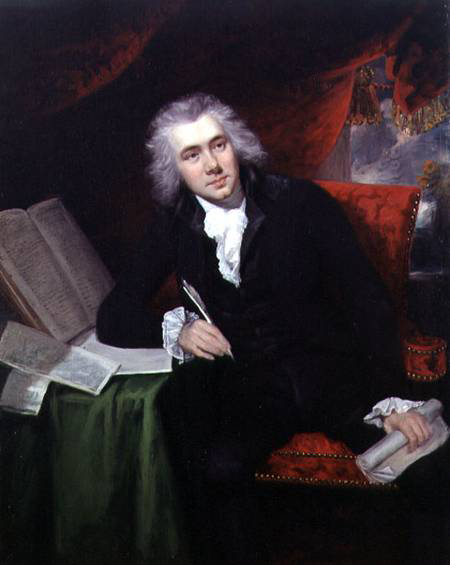 William Wilberforce, the leading politician who campaigned for the abolition of the slave trade, also stayed in Blackheath for a while. He lived in a house in Dartmouth Grove from 1785 until 1788 according to Lewisham Council’s timeline page here. The house is now named “Lydia”, for some strange reason. There is a bit more information on the BBC London page here. It includes a discussion about why there is no blue plaque commemorating his time in the house. Dartmouth Grove is on my Google Map. The residents of Dartmouth Grove must have had plenty to talk about – as well as the leading anti-slavery campaigner, it was also home to Thomas King, a partner in slave agents “Camden, Calvert, and King”. Ambrose Crowley ran an ironmonger business nearby in Greenwich, which supplied leg irons and other equipment to the slave trade. There is a more on him here, but the site makes little mention of the slavery connections. The fact that Blackheath attracted so many of these dubious characters as a place to live reminds me a little of more recent times. Is there something in the water that attracts these people?! The Blackheath Connection, is an incredibly dense and awkwardly laid-out website chronicling all the shipping connections between London and Australia (photos of Blackheath, New South Wales have appeared on this blog before). Portrait at the top of the post is of John Julius Angerstein, by Sir Thomas Lawrence from Wikipedia. Hi – You made a comment about the name ‘Lydia House’ the former home of William Wilberforce during his campaigning time in Parliament for the abolition of slavery. I can help with your query about the house’s name of Lydia. Lydia House was so named because mygrandmother, Lydia Scroxton O’Donnell lived in the house from about 1948- 1953 when she died. Sheran a bed and breakfast at the house and named it Lydia House. I hope this information helps clear up this query. Regards. Josephine O’Donnell.